Welcome! Sunday School 9:30 – Worship 10:40 a.m. Previous sermon recordings are available under “Featured Media” above. Welcome to the FBC Bloomfield! It doesn’t matter whether you are new to First Baptist, new to the area, or just new to church, we would love the opportunity to share the Gospel with you. 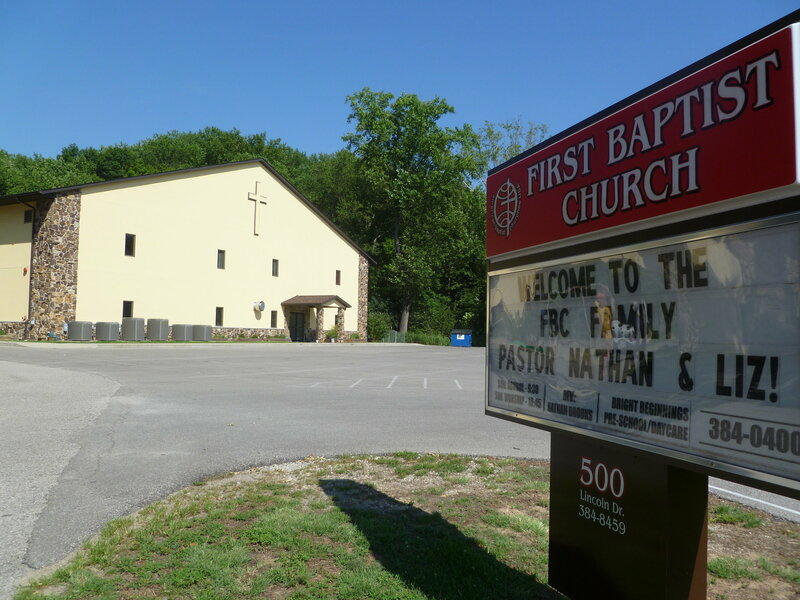 Here at First Baptist, it’s about getting connected—to God, to people, and to service. June 28 – Why Baptism? July 5 – Once Saved, Always Saved? July 12 – Prophecy Today? August 2 – Who Is My Neighbor? Sunday Night Youth Group: 6:15 - 8:00 p.m.
Wednesday Morning Bible Study: 9:00 a.m.
Tuesday, 9:00 - 11:00 a.m.
Tuesday, 4:30 - 6:00 p.m.
Wednesday, 9:00 - 11:00 a.m.
Thursday, 9:00 - 11:00 a.m.